This is the Paris you never knew. From the Revolution to the present, Graham Robb has distilled a series of astonishing true narratives, all stranger than fiction. A young artillery lieutenant, strolling through the Palais-Royal, observes disapprovingly the courtesans plying their trade. A particular woman catches his eye; nature takes its course. Later that night, Napoleon Bonaparte writes a meticulous account of his first sexual encounter. An aristocratic woman, fleeing the Louvre, takes a wrong turn and loses her way in the nameless streets of the Left Bank. For want of a map-there were no reliable ones at the time-Marie-Antoinette will go to the guillotine. Baudelaire, Baron Haussmann, the real-life Mimi of La Boh me, Proust, Charles de Gaulle (who is suspected of having faked an assassination attempt on himself in Notre Dame)-these and many more make up Robb's cast of characters. The result is a resonant, intimate history with the power of a great novel. 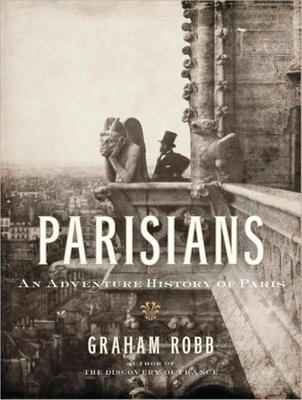 Graham Robb is the award-winning author of "The Discovery of France" and "Strangers: Homosexual Love in the Nineteenth Century."